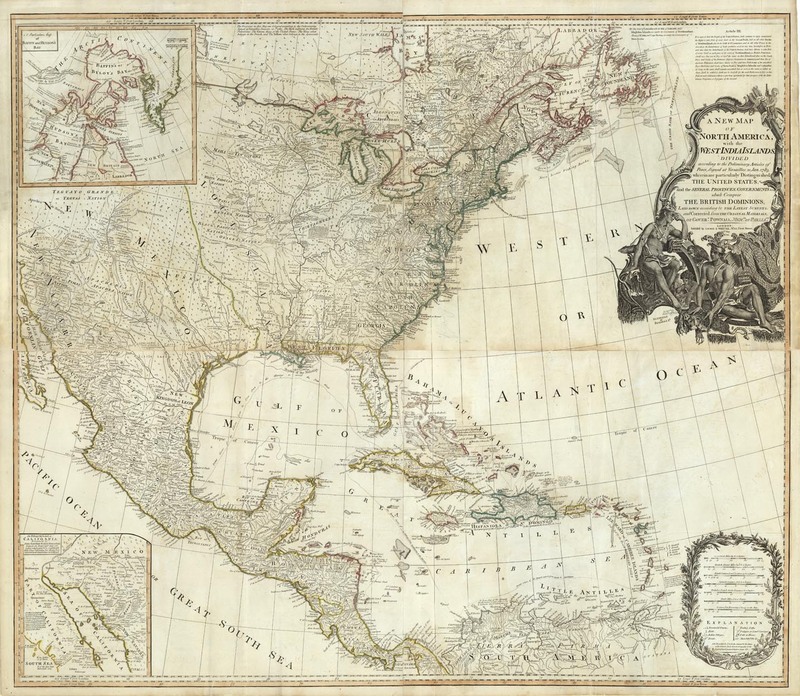 A NEW MAP OF NORTH AMERICA WITH THE WEST INDIA ISLANDS DIVIDED ACCORDING TO THE PRELIMINARY ARTICLES OF PEACE SIGNED AT VERSAILLES, 20 JAN. 1783 WHEREIN ARE PARTICULARLY DISTINGUISHED THE UNITED STATES. . .GOV. POWNALL. . . . 1783. Four-sheet map, joined. 40 1/8 x 45 5/8 plus margins.